Jobs Description: Fauji Foundation Jobs February 2019 are listed below in our site. Fauji Foundation (Private Trust for the Welfare of Ex-Servicemen) recently announced advertisements for Jobs of Senior Manager Engineering, Teachers, Principals, and Admin Staff. Valid Through (Last Date): 07 February 2019 for Advertisement No. 1 and 30 January 2019 for Advertisement No. 02. 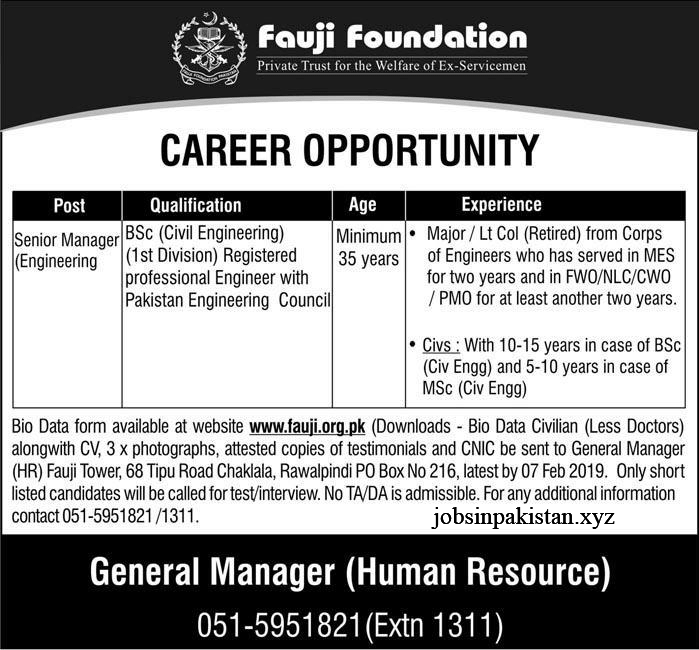 Fauji Foundation has required the applications for following jobs. How To Apply: Details are available on Fauji Foundation official website.